Today – in reality, almost nobody actually bothers about mobile security or privacy of information and data. In the rare case, somebody hardly worries about security. Customers always consider that mobile application development company guys have already taken care of it. However, recently, a lot of deep-seated organizations like Target, Snap chat, Home Depot, Starbucks, and etc. have been through a security hack catastrophe. Can you guess why? Plainly due to some attackers found loopholes in their mobile app development, they could exploit. Do mobile app developers really take care of this mass belief? We are proud to say that yes, we do take very good care of mobile security as we know how imperative this piece of work is in application development – whether it is Android app development or iPhone app development. There is so much gaga over the attentiveness of how to protect users’ information and protect their data, yet possibly one of the most important roots of personal information use is the smartphone. A few months ago, a detailed report from the Federal Trade Commission (FTC) paid peculiar attention to the deficiency of developers use of consumers’ information. Identity theft, Online fraud, Cybercrime – all these menaces that are becoming more and more prevailing. So it is essential for mobile application development companies to be more active instead of reactive when mobile application security is in question. It is very pivotal to carry consumer trustfulness if you want to survive in this industry for long. First and foremost, all the developers must be cognizant of the exemplary security risks that bear upon mobile apps. We firmly recommend you to go through the OWASP Mobile Security Project – Top Ten Mobile Risks. 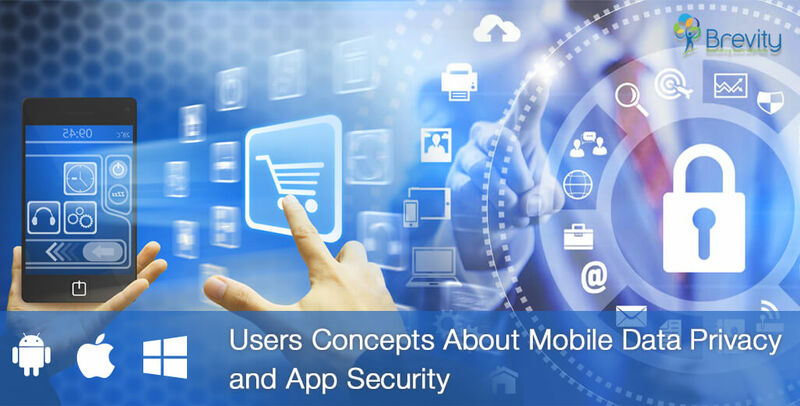 This project highlights the top most frequent security problems that affect mobile apps which have not been developed by keeping security in focus. One of the foremost problems we have observed in mobile apps is that of SSL. So many times developers do not go deep into SSL applications, and the execution/implementation is defective. A lot of times, the SSL certificates are not verified and Trust Manager is found unsafe. Deficiency of a right transport layer protection is an allurement to online attackers to misuse your app. Many apps use inferior and low-rated advertising APIs and analytics providers. It is essential to keep a careful watch on the how, where, what, and when your data transport. Attackers vigorously keep an eye for this type of information. For an example, NSA’s tapping of popular smartphone app Angry Birds to collect a huge amount of personal data as reported by several media reports – including gender, age, location, and more. After all, being able to individualize marketing offers to consumers is a prime digital business goal. However, it’s equally important that this inclination to gather personal data does not square off a consumer’s privacy. As a mobile app developer, you have to concentrate on developing apps in a way that sensitive information such as credit card numbers, SSN, and passwords do not inhabit right away on a device. In case if they do, they must be stored very securely within an encrypted data section, and the app should be impermissible for backup. A famous example is that of Starbucks mobile application’s fall from 4th highest grossing app to number 26 due to storing user credentials in simple text format. CNBC broadcast regarding compromising of users’ data sent them far away from popular apps and within 24 hours of that report, 3 million people deleted the app from their devices. Security of users’ data must be kept in mind very strictly. It is not exceptional for business concerns to unmasking systems while developing their initial mobile applications. Frequently, these formerly protected systems are not fully immunized against security defects. Mobile app developers are misguided that the security of their mobile apps and the back-ends are as secure as the structure. It’s censorious that back-end services be toughened against vindictive attackers. This means APIs should be scrutinized and right security protocols should be implemented to assure that only approved personnel has the right to access.